Teen Relationships and GREAT UPDATES from YSB! February 2017 Better Choices. Brighter Futures. YSB's upcoming Gala - as we pave the way for Better Choices and Brighter Futures! With the our $1.1 million expansion campaign already in full swing, and past the $745,000 mark - we at YSB are full of gratitude for the meaningful partnerships and support we continue to share throughout the Washington County community! From receiving Stillwater Chamber of Commerce's Non-Profit of the Year award, to new partnerships in local schools and hosting our Inaugural Gala on May 18th, this year is SURE to be one of our best yet! We THANK YOU for the opportunity to serve you - our local families - and we encourage you to use (and share) the resources below! Remember, you never have to face the challenges of raising teens alone. 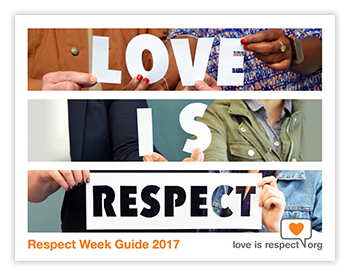 Love-Is-Respect is a "resource to empower youth to prevent and end dating abuse. It is a project of the National Domestic Violence Hotline. Dating violence is more common than many people think. One in three teens in the U.S. will experience physical, sexual or emotional abuse by someone they are in a relationship with before they become adults. Help us spread awareness and stop dating abuse before it starts!" 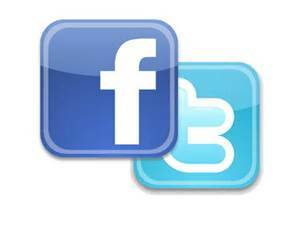 Check out their online resources: including communication tips for Health Relationships, Quizes and Hotlines to help youth (and families)! Studies show that teens are more likely to go to their friends for help or support. This webinar, aimed at adult allies (educators, parents, youth organizations), will provide information and strategies for teaching young people about healthy relationships and how to support one another. Non-Profit of the Year Award! 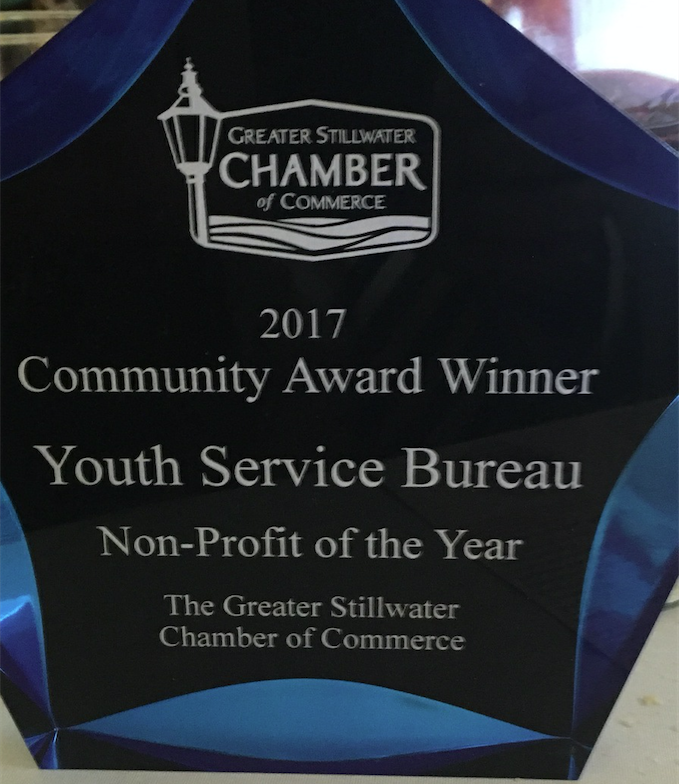 The Greater Stillwater Chamber of Commerce has announced the nominees and winners for its inaugural community awards - including Youth Service Bureau, Inc as NON PROFIT OF THE YEAR! All nominees and winners (were) recognized at the inaugural Chamber Winter Gala Community Awards Celebration at the Water Street Inn on Friday, Feb. 10." Community support for YSB's $1.1m Expansion Campaign! 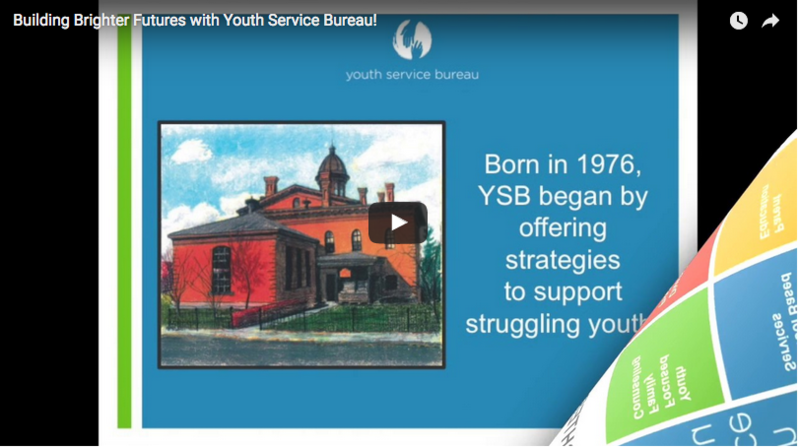 "The grant supplies a significant share of the YSB’s $1.1 million program expansion campaign, said Executive Director Bob Sherman. Otto Bremer gave half the $400,000 in December and will award the other half in 2017 when YSB matches that amount with money from other sources, he said. The campaign is intended to launch chemical health programs in school districts, hire additional therapists, and expand education programs." "...[Executive Director, Bob Sherman] said they are expanding in part because younger kids need services as well as having to serve a greater range of issues including bullying, social media problems, anxiety and depression. "We're seeing the age of the kids that come in to the therapists decrease considerably; we're seeing kids come in as young as 4 years old, kids 9, 10, 11, 12 years of age," he said. "We see their families need more (help) as well." The expansion will also focus on growing the chemical health program, concentrating on substance abuse prevention in schools with kids who have been identified as at risk by teachers or family. "Ounce of prevention, pound of cure," Sherman said. "We'd rather work with these kids before they're addicted."